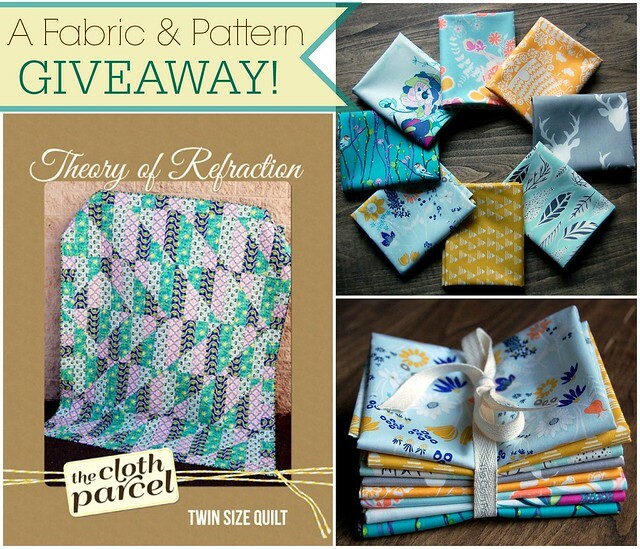 For this week's Giveaway the Cloth Parcel is offering a custom Art Gallery Fabrics bundle including eight prints in fat quarter cuts from their beautiful line-up of collections, and a PDF version of their new Theory of Refraction Quilt pattern! What a gorgeous combination!! That’s 4 possible entries. Enter now through Monday, March 9th. The winner will be chosen by Random and I will announce their name at the bottom of this post, here on the blog. Thank you to all who entered the Giveaway! From 755 entries, Mr. Random says the lucky winner is.. Comment #6 -- Melissa Miller! Congratulations, I'll be in touch shortly! Such a cute bundle! I'll have to check out their shop. I've spread the word by adding your giveaway to my giveaway list at http://www.thegiveawayroundup.com/linkup. I already like their Facebook page. That bee skep print from Sweet as Honey is a favorite of mine. I follow your blog....hope to win! I follow Cloth Parcel at your suggestion..
Love this new fabric, You always have great picks. I followed cloth parcel on Instagram. I foLlow cloth parcel on FB and Instagram! These fabrics is absolutely beautiful! This is a sweet and pretty bundle! Thanks for the giveaway! Lovely fabrics! Thanks for the chance to win! 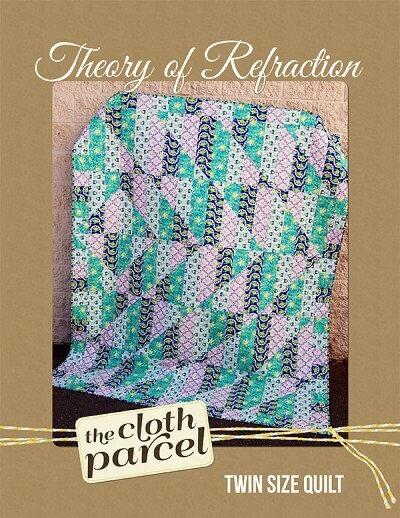 I follow the Cloth Parcel on Facebook! The fabrics are gorgeous. Just in time for Spring! Following Cloth Parcel on Facebook! I follow Cloth Parcel on Facebook! Love that pattern and the fabric bundle is very pretty. Thank you for a great giveaway. Love these fabrics for a quilt or bag! Beautiful! I follow the Cloth Parcel on Instagram. i just love the yellows and grays.....bring on spring! Lovely bundle of cheery spring fabrics! and I love the quilt pattern too! Got an error msg sending my first msg so I'll try again! Those are lovely fabrics and I like the quilt pattern too! Just right for Spring! Love the fabrics! Thanks for the chance to win! I follow Cloth Parcel on FB. This would be so fun!!! I made a similar quilt years ago in Halloween fabrics. It's a fun pattern. I am you faithful follower by email and on Instagram. This is a pretty collection!! Spring is coming! I knew it -- these gorgeous fabrics are just the thing to bring it on. Thank you for the giveaway. I follow you on FB and IG - thanks!!! Great colors, following you on FB, Instagram and blog! What a beautiful bundle! Thank you for the awesome give away! Wonderful fabric as always Maureen ! Lovely fabrics, thanks for the chance to win! That pattern is intriguing! I wonder what it would look like in solids? What a beautiful bundle. Love the pattern! Thanks! What cute, spring-y fabrics! Thank you for the chance to win them. I follow you on Facebook and by email! The fabric is so pretty. Dreaming of how to use it. I Follow the Cloth Parcel on Facebook and Instagram. This would be a nice pattern for your fabric line I have stashed..
Love those fabrics. Fingers crossed to win! I follow Cloth Parcel on FB! I am ready for some spring colors and fabrics! Very excited about this give-away and to discover this shop! And I now follow The Cloth Parcel on Facebook. I now follow The Cloth Parcel on Facebook. Did the Facebook " like". Now to shop! What beautiful fabric! Would love to win. What a lovely quilt, and Art Gallery fabrics are always a treat. Thanks for the chance! I follow the Cloth Parcel on FB already. And of course I follow you, both your blog on Blogger and your FB page. I'm sharing this on Facebook. Thanks for the chance to win. That is a really cool quilt pattern and I think it will go lovely in that bundle. Whoever gets it and makes it I want to see the finished quilt! I follow you! I'd be fool not to, right? Great bundle. Would be fun to warm up with some new fabric. 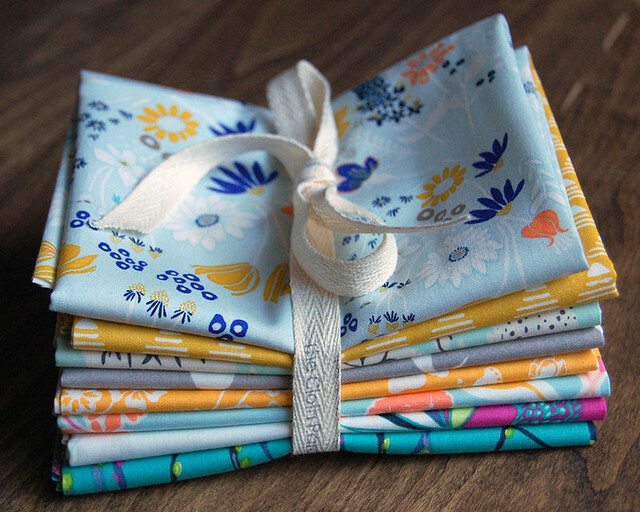 I love this pretty fabric bundle, and I love Fridays on your blog. I follow your blog, and I also follow you on Facebook. Lovely fabric. Would love to win!! What great fabric -- I could have such fun with that! Very cute bundle. Thanks for the chance! I also follow Maureen Cracknell Handmade on Facebook! Art Gallery fabric is fabulous - just love their selection! Following Cloth Parcel on Facebook.....oooo love that fabric!!! I follow you on instagram & facebook! It's always a joy to receive fabric. Thanks for the opportunity. Hi! Thanks for another wonderful giveaway. Beautiful spring fabric!!! Need it!!!! Love those fabrics! springy! thank you!